For the 3rd time this season Vedran Janjetovic has made a complete brain snap, this time an error in the 95th minute to gift Brisbane Roar a corner that Adam Taggart nodded home to give the Roar a dramatic 2-2 draw. The Wanderers controlled the game for the entire first half, giving the Roar precious little to come at them with. Roly Bonevacia opened the scoring in the 18th minute, latching onto a long ball over the top of the Roar defence by Brendan Hamill. Roly picked up the ball about 12 yards out from goal, he cut back inside and fired through the legs of Luke DeVere before beating Jamie Young at the near post. Western Sydney were cruising when Kwame Yeboah continued his good start to his career in the Red & Black. Oriol Riera found Bruce Kamau with a neat ball into the area, he tapped it back for Yeboah and the new striker turned Connor O'Toole and rippled the back of the net on the far side. After half-time the Wanderers & Roar ambled along to what looked like an inevitable win for the visiting team, only for the 5 minutes of stoppage time to produce the dramatic ending and yet another Wanderers collapse. Firstly the Roar saw Taggart and Tobias Mikelson play a neat one-two pass to put Mikkelsen one on one against Tate Russel, and the Danish midfielder went around and shot through the legs of Janjetovic to put the Roar within striking distance of a point. Secondly, as the Roar launched an aimless ball into the Wanderers penalty box with 30 seconds left of injury time, all Janjetovic had to do was let it roll out for a goal kick, or smother it 8 yards out from goal and boot it up-field to give Wanderers their breakthrough 2019 win. Instead, he let it roll slowly toward the goal line before inexplicably throwing out a right foot as the ball reached the by-line. Having won a corner off the brainless stupidity of the Wanderers keeper, the Roar threw the kitchen sink and their own keeper Jamie Young into the penalty box, followed by a ball into the 6 yard box. Young, Taggart and Tarek Elrich threw themselves at the ball, it connected with Taggart's head and the ball flew past Janjetovic for a stunning equaliser. As the Roar ran off in celebrating the dumbstruck Wanderers had to rue the 3rd brainsnap of the season from Janjetovic, another two points dropped from a seemingly unassailable position. While Markus Babbel could only laugh in reaction after being questioned in a post-game interview, he must surely be absolutely livid internally. That 3rd mistake should mark the end of the Wanderers career for Janjetovic, who has been a disaster in goals since swapping with Andrew Redmayne. The Wanderers now have to pick themselves up to face Newcastle on Friday, February 1st with a 7:50PM EDT kick-off at ANZ Stadium Homebush. In all seriousness though, what the ****? We are a broken down husk of a team, deserved to lose 2-0. Your team just cannot, cannot win even against our dogshit. Something is seriously wrong with the mentality of your players if you cop goals to this dispirited, disheveled rabble. And you didn’t just cop one, you copped two just ******* garbage goals because your goalkeeper looks like he’s ****ed up on bath salts. Nutmegged, then that. I don’t think I’ve ever laughed harder. All that said? I actually feel sorry for you lot. 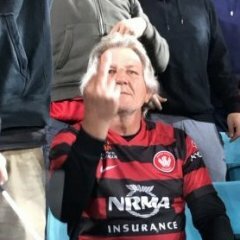 And this is from someone with... not a lot of sympathy to spare for WSW fans. The players are letting an excellent coach down over and over. Oh goody...now we get rival fans coming here feeling sorry for us....the night is complete. Is Vedran on bath salts? Consulted to a startup a few years back. It was founded by old school guys (experienced imports and journeymen) with a wealth of experience but a deservant attitude that just wanted to sit back and cash cheques. The business was being run by millenials (youth players and squadies) that had buckets of talent or potential, but no communication skill or the ability to absorb critique and prefered ignorance over resilience. It was fast becoming a massive failure, similar in some respects to the path this team is facing, and for want of words I was in a position faced like Babbel today. Curious to know what I did? Took the money and left? I must say, as much as Vedran has once again let us down. So has the rest of our defence. that first goal was just a horror show. 4 guys all on one guy, and Russel just waltzing over in cover. I mean don’t you guys wanna win? second, Vedran invites all the pressure. 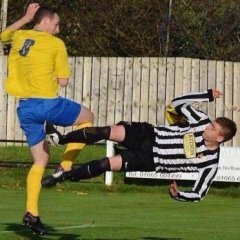 We could have easily got a foul for Youngs involvement on Riera but damn were just hopeless. My biggest fear isnt where we finish this year. Its that this group may forget to win, and get ingrained in our culture woth an over bearing oressure to close a game out now. They don't seem to have the will to win. if it wasn’t vedran would have probably been something else...Is there any point even discussing anything? This is by far the worse **** season ever it’s so bad I actually feel like watching an arsenal game and haven’t done that for years! WHAT THE ACTUAL ****!?! I checked the score at the 90th, then check the table 30 minutes later to see we’d been credited 1 point. I can't quote the FIFA rules as well as others in this forum, but my understanding was that offside related to any part of the body which could legally score a goal ie. head, foot, chest, Don't recall that it would be okay if the offside was only a mm or two. At how many mms does offside become actual offside? For offside or not, the only parts of the body that not considered are the hand and arms. So any part of the body, other than hands and arms, cannot be between the second last defender and the goal line when the ball is kicked. So head, backside, chest, foot must be in line with last defender. This is very hard to judge if it is a long ball over the top from deep. Ha Mack. As much as thats a nice proposition, I grew up very poor - a time when you got boots once every couple of years and the only colour was black. Hope these words mean something for those frustrated as they can be applied to alot of circumstances in and out of supportership. Step 1. Understand that no success. (Long or short) comes from the top or the bottom. Real success comes from stability and results from those that broker offence and defense in the middle. Composure here is critical as you risk either over or under compensating. Step 2. Identify those with the attitude you need. A lot of people are critical of Soterio for example, but... what we probably don't see is that on the training pitch his attitude dwarfs others. Sure, he's pretty hit and miss, but the right attitude can add an immense value beyond natural ability. Step 3. Directly connect the lowest performer with the highest and create a mentor culture rather than a leadership one. You don't want lots of leaders. Just the manager. If you make the livelihood of one dependant on another, you build strong bonds. Expect initial resentment, but with time great reward. Step 4. Immediately terminate objectors to the process. A seed of doubt will grow into a weed. Doesn't matter if it's your CEO or marquee. No one is irreplaceable. Objections don't need to be verbal. A shug of the shoulders, a posture are a sign. Cull.. Step 5. Communicate. It's only when you are sick of hearing something that it's starting to work. Compared to some teams we are silent. Mummy and daddy took Vedran off to a nice farm in the country where there's lots of space to run free. You won't be able to see him any more. I just forced myself to watch the replay. Ive decided that for the rest of the season I’m going to skip watching the games. Instead I’m going to walk out to the front deck, slam my d1ck in the BBQ lid, then head down to pub. That way the pain will be over in a few seconds and just get to drinking. I take it he misses the flight back to Sydney. This disappoints me greatly. Vedran has wanted to be at this club for at least a few years before he joined. He had an amazing season last year but this year has been nothing short of ******* disgusting. I can legit nail down 9 points to his decisions, forgetting everything else. i watched Suman game vs City, and I can’t see why he lost his spot. Maybe I’m missing something, but I don’t think so. I’ve personally been in his spot, a keeper dropped for a few weeks to sort it out, this **** hasn’t sorted it out. sounds like a plan can i join you? I don’t think it’s a case of not having the will to win, I’d assume the players want to more than anything. I think it’s a case of not being able to handle the pressure, that & a lack of self confidence. A by-product of your manager publicly shitting on you in the media every other week maybe?? Tbh I feel for Vedran. If its not the refs ******* us over, its our own players. We should have won that game, conceding 2 goals in in injury time, like WTF? how do you lose a 2 goal lead in injury time? WSW showed them how. I posted in match thread last night that we are becoming laughing stock of the A league. And thank god for the mariners..until they perhaps beat us in a few weeks time. Weve gone global..Vedrans brain fart was shown on bbc sport last night. And was in daily mail tabloid in the uk.. Fantastic recruiting drive for next season. Sure to make some top talent want to come and play for us.